Whatever happened to lazy Sundays, eh? Grand Theft Auto developer Rockstar has always walked its own path when it comes to teasing and announcing its upcoming projects, and the super popular company is at it again this weekend. Without warning, the company has posted a red Rockstar logo on Twitter, and naturally, it's caused the internet to go apesh*t. The style, and obviously the colour of the image, point directly towards something to do with Red Dead Redemption. What's more, the developer's official website has updated with a post that contains a similar picture. Again, though, there's no explanation - just the visual. Is the company finally building up to the reveal of Red Dead Redemption 2? Or will this lead to the announcement of a current-gen remaster of the brilliant PlayStation 3 title? There's no way to know just yet, but we can certainly confirm that Rockstar hasn't lost its touch. I wish they'd let us know what's happening. I have RDR and RDNightmare on PS3 yet to play, but I'd rather play a PS4 Remaster as this is one game whose beautiful graphics and vistas enhance the experience. Let me know what's happening R* so that I can get on with it... or not! of course if it is a Red Dead game that would be fantastic but lets wait and see hey? Fascinating. It is logical to assume more information will emerge over the coming months, and if the past is anything to go by, there may well be some apparent 'leaks' and 'unofficial' reports. Of course there is a high probability that most of this information, in whatever form will, in all likelihood be part of a general marketing campaign. However, I look forward to Rockstars next major production, they are professionals who have proven themselves more than competent in delivering a well crafted and engaging story. @Frank90 That would be great. 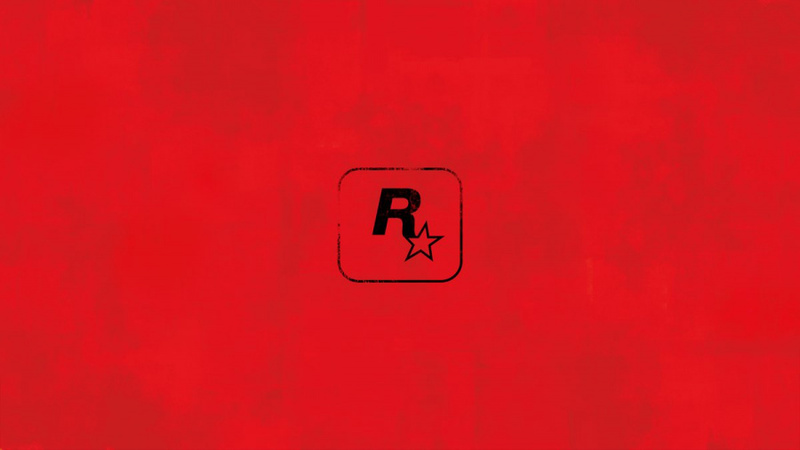 Only Rockstar could create this much hype by changing the background colour of their logo. I'd like something closer to red dead revolver but I'm probably the exception. @Rob_230 You know what, I can kinda make out a cowboy hat shape now that you mention it... hard to be sure though, might just be part of the texture. Would be amazing. Red Dead is hands down my favorite Rockstar game. 4 figures... Starting from the left. 1.The dark spot is the lady' hair, shoulder length. You can see her side profile facing towards the left. Wearing a light colored dress. Look like she's sitting playing the piano. 2. Middle image. A woman with decorative -flowery collar dress. Side profile, facing towards the right. Head slightly raised. 3. Behind her an old man with glasses wearing a hat. Side profile facing towards the right. 4. A man with his back towards us. Profile is facing towards the left. Seems to be having conversation with the old man. Either I really sees all of that...or Mary Jane is up to her latest tricks again...lol! @itshoggie : you are very right. Yet i peed myself a little. @itshoggie With the exception of Valve posting a tweet saying "3"
An all new RD game in May 2017, and GTA 6 in October 2017 would be very very good. Any last gen remasters are welcome unless such work delays new games. So, other than the small crew maintaining GTA 5 online, i hope the R* staff are as busy as beavers on something new, and for release before next summer. Not getting hyped until it's confirmed to be the next Red Dead game, whether that's Redemption 2 or something else, and not yet another freaking remaster. @FullbringIchigo True but I think it's fairly likely. With all the rumors over the past couple of months or so, Rockstar should have predicted people would interpret it in this way. I see from the website that the organisation has offices in New York, London, Paris and, strangely enough, Bogota. Interesting. Though I understand the Bogota reference has been there several years. I'm hoping for a Redemption Remaster and Red Dead 3 (not Redemption 2).